William G. Little -- or "Bill," as he was invariably known throughout his life -- was born on August 29, 1873 in Sumter County, Alabama near Livingston. 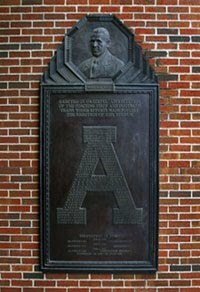 He entered the University of Alabama in 1888 but moved to Andover, Massachusetts to attend Phillips Academy in 1891 in anticipation of attending Yale. The death of his brother curtailed those plans and he came back to the Yellowhammer State and enrolled in the UA law school. Little returned to Tuscaloosa with a passion for new sport of football which he had learned while in the Northeast. 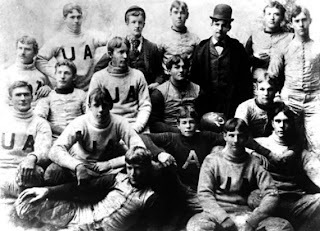 He brought his uniform and equipment for playing the game and quickly formed a team of 19 fellow students -- many who had never even seen a football before much less played the game. Little played guard and at 220 pounds he was easily the largest player on Alabama's inaugural squad. The University of Alabama's 1892 football team. 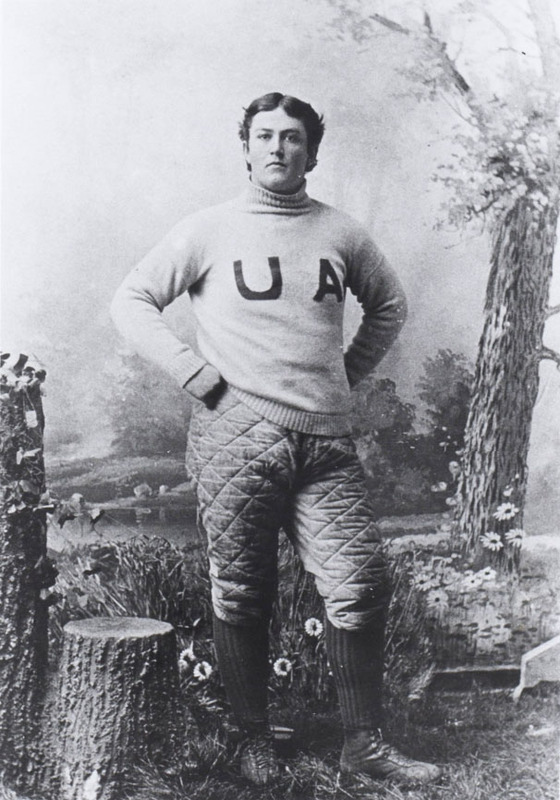 With Little as captain and E. B. Beaumont as head coach the team played its first game in Birmingham on Friday afternoon, Nov. 11, 1892, at Lakeview Park. The Alabama students faced off against a picked team from Birmingham high schools, with Alabama winning, 56-0. Alabama would go on to earn a 2-2 record that first season. After graduating with the class of 1893, Little returned to Livingston where he operated a large farm and owned a retail store. He was active in politics, serving as Sumter County treasurer, tax collector and probate judge. He remained a staunch supporter of Alabama football throughout his life and often invited teams to his Sumter County farm. Little died on April 11, 1938 in Selma following a short illness.